On the occasion of the 29th Session of the United Nations Human Rights Council in Geneva, exiled Kashmir leader Nasir Aziz Khan drew the attention of the Council to the issue of the exploitation of natural resources in Gilgit Baltistan. He denounced the exploitation of the region’s resources by the Pakistani Government without previous consultation of the local populations. Nasir also condemned the arrest of nationalist leaders for peaceful protesting. The activists were denouncing the rigged elections in Gilgit, as well as asking for the release of some political activists facing life imprisonment under the anti-terrorist act. At the ongoing 29th Session of the United Nations Human Rights Council in Geneva [­from 15 June 2015 to 3 July 2015], the exiled Kashmiri leaders sought the Council's attention towards deteriorating human rights situation in the region. Nasir Aziz Khan, the spokesperson of United Kashmir People's National Party (UKPNP), during his intervention said that the people of Pakistan administrated Kashmir still live in a pathetic condition and don't have any freedom to exercise their fundamental rights. 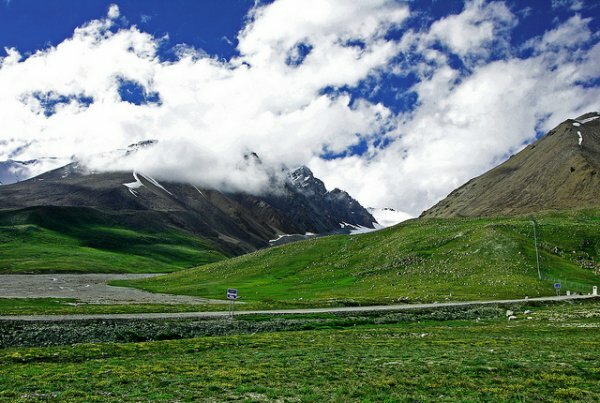 "Exploitation of natural resources in Gilgit-Baltistan and so-called Azad Kashmir has deprived the natives of the region from their own natural wealth. Pakistan is involved in plundering of natural resources of region without the consultation of local population. Islamabad is constructing mega dams, proposed China Pakistan Economic Corridor project which runs across our region before it enters Pakistan. Mega projects in a disputed territory of Kashmir are a clear violation of international laws and UNCIP resolutions on Kashmir," he added. Nasir also raised the issue of arrest of nationalist leaders during the elections in Gilgit Baltistan. He said that recently Nadir Hasan Khan and other nationalist leaders have been arrested in Gilgit Baltistan for peacefully protesting and leading a rally to submit a memo to UN sub office against farce elections in Gilgit Baltistan and for release of Baba Jan, Iftikhar Hussain and other political activists, who were charged under the anti-terrorist act and facing 40 years life imprisonment. "A renowned Kashmiri historian Saeed Asad has been sacked by the so called Azad Kashmir Government under the instructions of Pakistani Lent officer for publishing a map which shows Gilgit Baltistan as part of the undivided Jammu and Kashmir. Sacking an academician from the government job is a clear violation of freedom of expression and fundamental rights of the citizen," Nasir informed the United Nations. The nationalist leaders from Pakistan administered Kashmir allege that Islamabad has been exploiting vast resources from the region whereas the indigenous people are living a miserable life. "In 1960s, Pakistan constructed Mangla Dam in Mirpur, Kashmir. Pakistan had agreed to provide free electricity to natives and pay royalty to the AJK (Azad Jammu and Kashmir) for the use of the water and electricity generated by the dam. But this commitment never saw the light of the day," said Nasir. "Kashmiris are denied royalty because Islamabad says Kashmir is not a province of Pakistan and royalty is only paid to provinces. Mangla Dam produces 1300 megawatts and our daily need is only 330 megawatts. But the region has been facing electricity shortage or load shedding for over 18-20 hours a day," he added.